Julio Cortez/AP PhotosWalmart raised its minimum wage earlier this year — but it can’t measure up to some retail rivals. 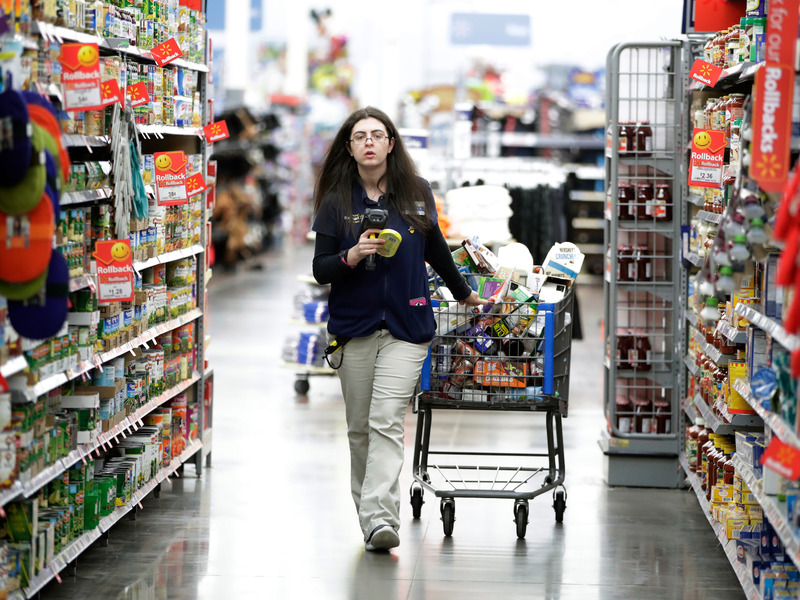 Amazon,Walmart,Costco, and other retail giants are fighting to hire and retain workers. 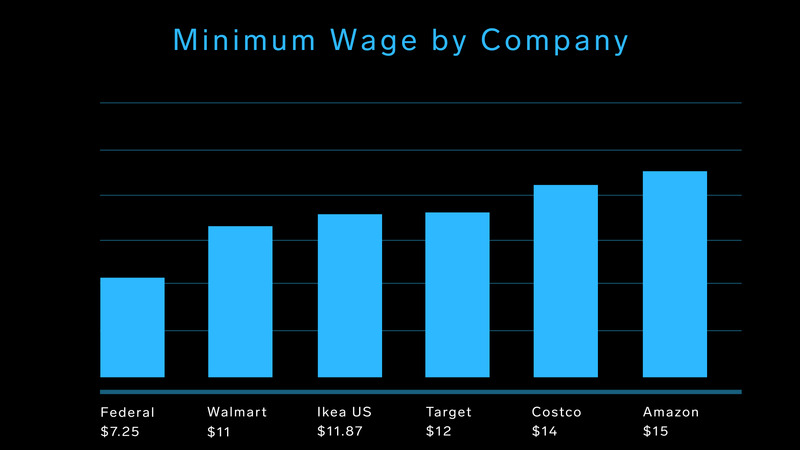 Here’s how minimum wage compares at some of the biggest names in retail. The US unemployment rate fell to 3.7%, a 48-year low, in September, according to the monthly jobs report released by the Bureau of Labour Statistics. At the same time, there are more jobs open than ever, with 757,000 retail-job openings across the US in July, about 100,000 more than a year ago. Amazon is just the latest in a list of companies to raise minimum wage. While the federal minimum wage remains $US7.25 per hour,Business Insider Today reports that most of the largest retailers in the US pay significantly more than that. 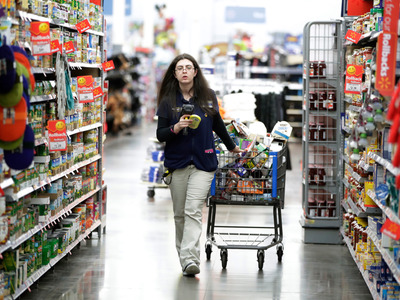 In January, Walmart made headlines when it raised its minimum wage to $US11 per hour. Target raised minimum wage to $US12 per hour, as part of its effort to get to $US15 per hour by 2020, in March. In June, Costco announced it was raising the minimum wage from $US13 to $US14 per hour. “Our average US hourly wage is in the mid-22s, $US22.50 roughly, which we believe dwarfs any other retail or retail-type entity out there on a big scale,” Costco’s CFO Richard Galanti said on a call with investors on Thursday, in response to a question on Amazon raising its minimum wage.